President Barack Obama announced Thursday he is granting temporary legal status and work permits to almost five million undocumented immigrants living in the country illegally, the largest single immigration action in modern American history. More than four million undocumented immigrants who are the parents of U.S. citizen or legal permanent resident children will receive new legal status under Obama’s executive action, if they have been living in the country for at least five years, pay back taxes, and pass a criminal background check. Obama, who will formally take the action on Friday at an event in Las Vegas, will also offer temporary status to several hundred thousand immigrants who came to the country as children, but did not qualify for his action on deferred deportations in 2012. This group includes those who were born before 1981 and those who arrived in the U.S. between June 15, 2007 and Jan. 1, 2010. The last time such a large number of undocumented immigrants got legal status was through legislation President Ronald Reagan signed in 1986, which gave a path to citizenship for about three million people. 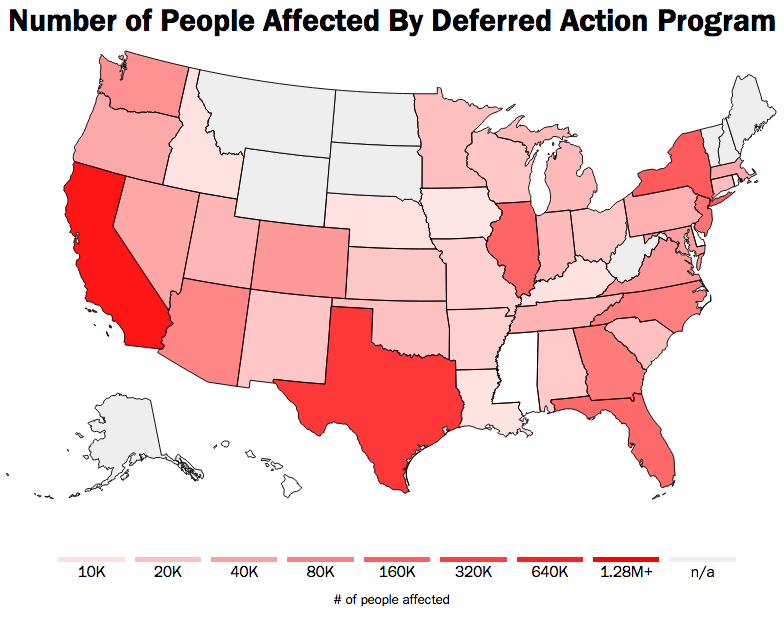 There are currently about 11 million undocumented immigrants living in the U.S. The plan, which will be put into place by memoranda and the actions of cabinet officials, will also include new priorities and procedures for detaining and deporting those undocumented immigrants not granted special status. The new deportation priorities will focus on removing criminals, gang members, and those who have arrived in the U.S. since Jan. 1, 2014. The President and his team decided not to extend the special legal status to the parents of undocumented children, a group that could have covered several hundred thousand additional immigrants. “We made a determination that the law essentially did not support that,” the official said. In a publicly-released memo, the Department of Justice Office of Legal Counsel wrote that in its opinion Obama could not justify granting deferred action to the parents of those covered by the 2012 “Deferred Action for Childhood Arrivals” program. Some Republican governors have threatened to sue to undermine Obama’s action, while on Capitol Hill, GOP lawmakers have threatened to use legislation to try to block or defund the plan. Senior Administration officials said the expansion of temporary legal status would be funded through fees, and therefore could not be defunded by Congress. But Obama aides have not ruled out other legal routes to try to block the measure. A third Administration official said the President would not sign any such effort into law. “That in and of itself would be something the President would veto,” the official said.